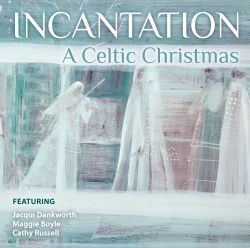 In 1992, after ten years of Incantation�s existence and many projects including albums, film scores and even two Masses composed and performed with Coventry Cathedral Choir, Mike Taylor and Tony Hinnigan decided they would like to try something different. They had the idea initially to make an album of �alternative� Christmas carols, having become tired of the usual annual round of �O Come All Ye Faithful� et al (fine tunes though they are) and got together with their friend and colleague Tony Maloney to start their research. This they did mainly in the library of the English Folk Song and Dance Society at Cecil Sharp House in London and soon found there was a wealth of material from all over the world dating back as far as the fifth century AD. The songs for this album consist of a number of unjustly neglected music. Their approach was to take well-known songs (such as The Holly and the Ivy) and to re-interpret them with different tunes or to take a notated tune which we had never heard before and simply interpret it in whatever way occurred to us without any constraints of tradition or style. Some turned out as unadorned duets (e.g. Our Lady, The Angel Gabriel) others became much more elaborate as they developed from day to day in the studio and a couple of them turned into riotous jamborees. In 1992, after ten years of Incantation s existence and many projects including albums, film scores and even two Masses composed and performed with Coventry Cathedral Choir, Mike Taylor and Tony Hinnigan decided they would like to try something different. 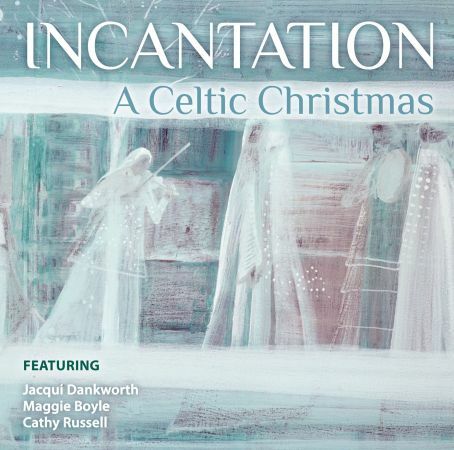 They had the idea initially to make an album of alternative Christmas carols, having become tired of the usual annual round of O Come All Ye Faithful et al (fine tunes though they are) and got together with their friend and colleague Tony Maloney to start their research. This they did mainly in the library of the English Folk Song and Dance Society at Cecil Sharp House in London and soon found there was a wealth of material from all over the world dating back as far as the fifth century AD. erent. We had the idea initially to make an album of �alternative� Christmas carols, having become tired of the usual annual round of �O Come All Ye Faithful� et al (ne tunes though they are) and got together with our friend and colleague Tony Maloney to start our research. This we did mainly in the library of the English Folk Song and Dance Society at Cecil Sharp House in London and we soon found there was a wealth of material from all over the world dating back as far as the fth century AD � enough for a great many albums indeed. Over the next two years we worked on the songs for this album whenever we had time to do so and have produced the rst of a number of unjustly neglected music. erent tunes (this one I learned from an English folk musician many years ago) or to take a notated tune which we had never heard before and simply interpret it in whatever way occurred to us without any constraints of tradition or style. ection and a sore head! It remains to say that we could not have made this album without the hard work expertise and goodwill of Olly and Kevin at Backtrack Studios and the time and talents of all our friends and colleagues listed here who made it such an enjoyable and at times moving experience. There are no comments to display. Click [here] to be the first to submit a comment.